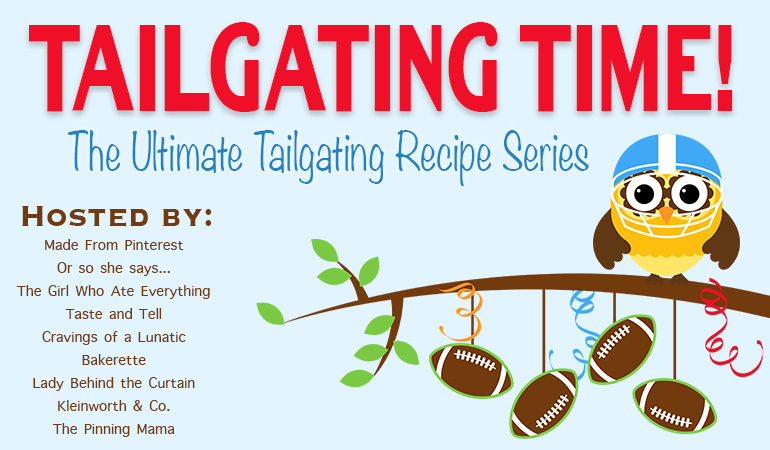 Can you believe we are on WEEK 5 of the Ultimate Tailgating Recipe Series? As you know, I’m a huge football fan and spend my fair share of time watching football games. So naturally I’ve tasted a lot of game day food and I’ve partnered with some of my favorite bloggers to bring you the good stuff. We still have THREE more weeks to go! If you are kicking yourself for missing the last FOUR weeks don’t worry I’ve got you covered.